Ever since North Sea traders connected London merchants to Continental European markets, wool has been an emblem of British identity. Whether considering Scottish tartans, the fine pin-striped worsted of a Saville Row suit, or a well-tailored tweed jacket, there is something about wool that recalls a sense of ‘Britishness’. This sense of identity is reinforced by television shows like Foyle’s War and Downton Abbey, the elegance of any James Bond hero, and rock stars like Rod Stewart or Madonna who reference British style on stage with kilts and tartan scarves. Yet, that wasn’t always true in Britain itself. 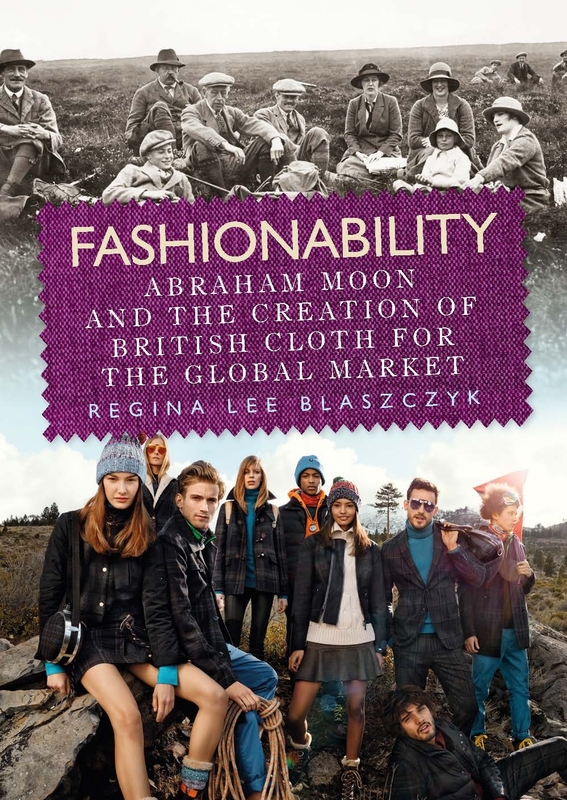 In the 1960s and 1970s, the British wool industry was being hammered by competition from Italian mills, unfavourable trade deals, the emergence of synthetic fibers, and a decline in domestic demand. A new generation of British customers who came of age with Mod fashions were looking for a more casual style, and the classic tweed look became old fashioned. Different fabric mills tried different approaches to deal with these problems without much success, but Abraham Moon and Sons thought that the West German predilection for high-quality fabrics and dependable performance might be an opportunity. With the helpful of a London-based agent versed in the German market, they focused on this niche and soon were able to rapidly develop a German presence. 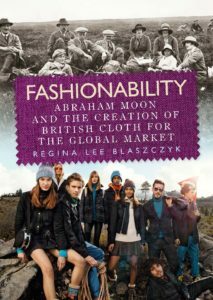 Abraham Moon continued to develop the export market in Continental Europe by looking to fashion-conscious countries like France. In Paris, their agent recognised that the French idea of classic British tweed was more colourful and more elegant than it was in Britain. In the late 1970s, the agent took the mill’s young designer under his wing and taught him the ins-and-outs of the growing French ready-to-wear trade, where brands like Daniel Hechter were making a splash. The mill honed its design skills by working closely with the agent and the customers. Working collaboratively with customers was a driving force at Abraham Moon, enabling their designers to create products that met the ideal of British tweed imagined by Continental customers. When the firm began exploring the Japanese market in the early 1980s, they learned that Japanese consumers were crazy about “preppy” fashions, an American idealisation of classic British style. Yet, this fascination was tempered by traditional Japanese culture, which placed an emphasis on subtlety and restraint. The designers of Abraham Moon worked with Japanese customers to create fabrics that evoked British classic style, but within the parameters of traditional Japanese taste. As Abraham Moon continued to develop their export sales in the 1990s, a key element was the design of fabrics in that evoked British heritage as interpreted in each individual country. This approach led to substantial success in the export market, ultimately leading to the coveted Queen’s Award for Export Achievement in 1996. Today, Abraham Moon produces heritage-inspired tweeds for global brands such as Burberry, Tommy Hilfiger, and Dolce and Gabbana, among others. Those tweeds are worn by heritage-conscious fashionistas around the world, with Japan being the largest export market. Watch for tweeds on the British high street in Blog Four. Category: Blog, Fashion, History	0 Comments.